South Korean technology giant Samsung has today taken wraps off its Galaxy A80 smartphone. 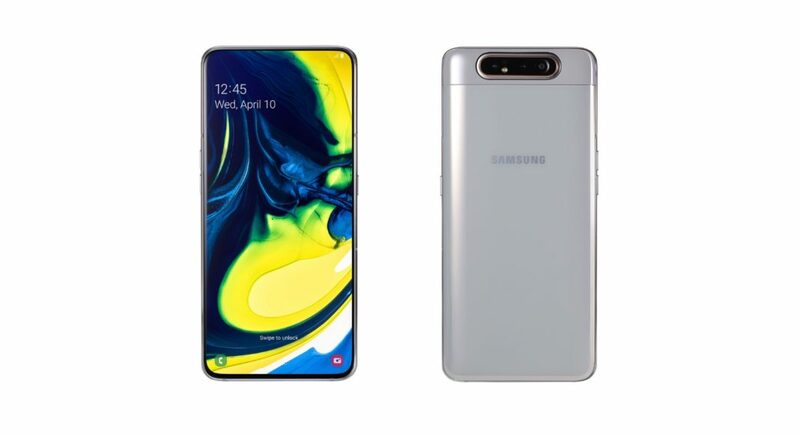 Samsung Galaxy A80 is the first device from the company to come with a full-screen experience and it comes with a rotating camera setup on its back panel. Strangely, there is no word on the pricing of Samsung Galaxy A80 yet. However, the South Korean technology giant did say that the smartphone will be available starting May 29. As of now, there is no word on its India launch or availability. Samsung Galaxy A80 is the first handset by the South Korean technology giant that comes without a notch and offers a full-screen Infinity display. In order to offer a full-screen experience, Samsung has added a rotating camera on the smartphone. So, the same set of cameras that are there on the back panel can also be used for selfies. Samsung Galaxy A80 has a slider which houses a 3D depth camera, a primary camera and an ultra-wide camera. The smartphone has a 6.7-inch FHD+ (1080×2400) Super AMOLED New Infinity display that is claimed to show content in vivid detail, letting you get fully immersed in every game, video, photo and story. The display of the Galaxy A80 handset also comes with an in-display fingerprint scanner. Samsung Galaxy A80 will be powered by an Octa Core (2.2GHz Dual + 1.8GHz Hexa) processor from either Qualcomm or Exynos, depending upon the region. Samsung Galaxy A80 comes with 8GB of RAM and 128GB of storage. However, it cannot support a microSD card. As we mentioned earlier, the handset has a triple rear camera setup that comprises of a 48MP primary sensor, an 8MP ultra-wide sensor and a 3D depth sensor. All three sensors are a part of a ‘Rotating Camera’, so they can be used to click selfies too. In other words, you will be able to click self-portraits using the ultra-wide angle sensor. The device houses a 3,700mAh battery that has support for 25W Super-Fast Charging. It runs Android 9.0 Pie that is skinned with the company’s own One UI on top. Samsung has also touted the presence of Intelligent Performance Enhancer that can be used to optimize the performance of your smartphone by learning your usage over time.